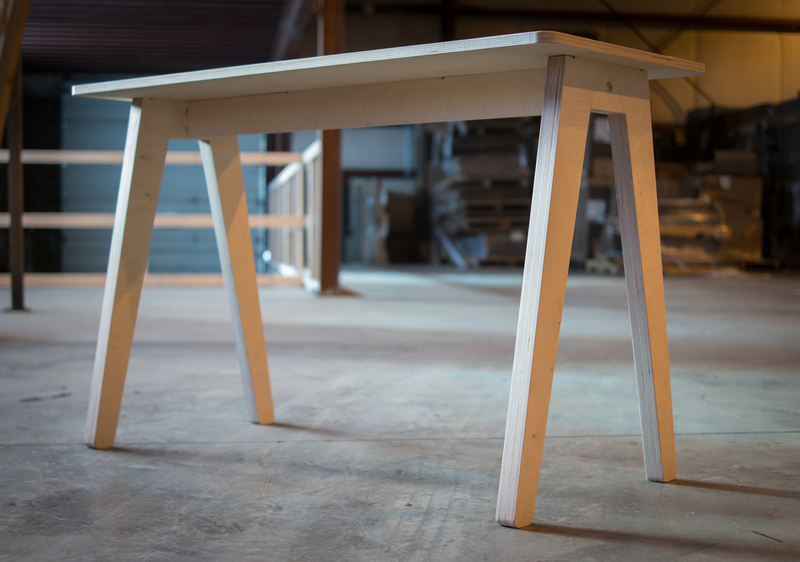 The OpenDesk Olivia Desk, like many other OpenDesk designs is highly dependent on plywood thickness. This means to fabricate one of their files you need to have a specific fabrication file provided by them that matches the thickness of the plywood that you currently have. This means that if you have a file designed for .700” plywood and you actually have .725” plywood the design files you have from OpenDesk won’t work. 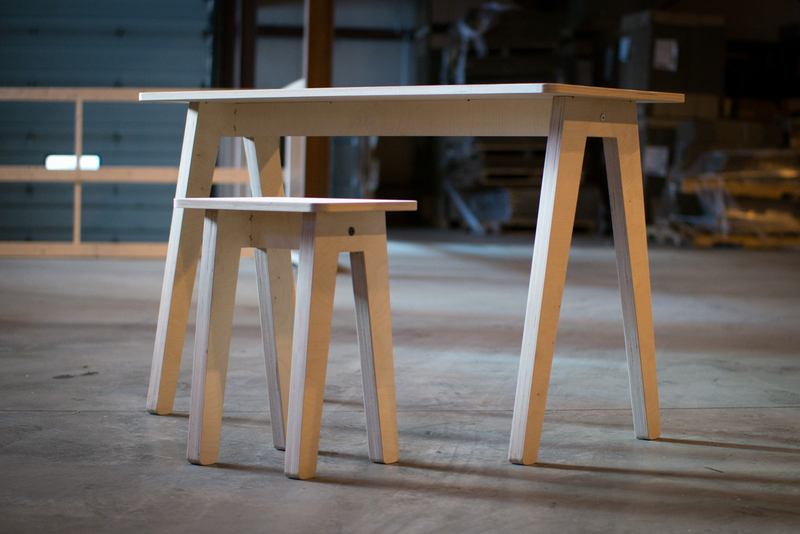 This design eliminates the need to have accurate thickness plywood. I have altered the design to work with any 3/4” plywood as long as it’s between .68” and .76” thick. This is achieved by completely re-designing the joinery and by adding four furniture bolts. The bolts allow for the table to be assembled and taken back apart repeatedly if needed. There are no tight fit or other joints that can wear out with repeated use. 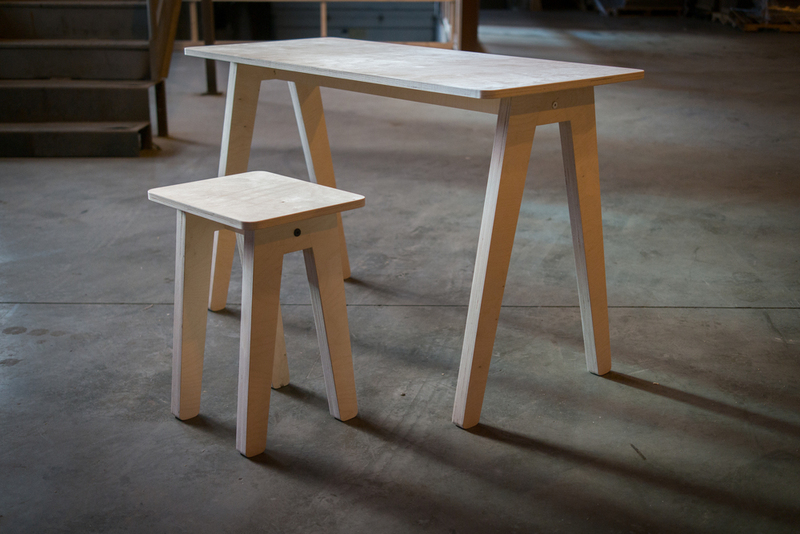 This is great if you need to flat pack and send the table to someone else. The entire design can be cut on a 4x4’ sheet of any 3/4” plywood. This means you’re free to make one, you just cannot sell it for money. It also means that people are free to hack the design, which is what I did.